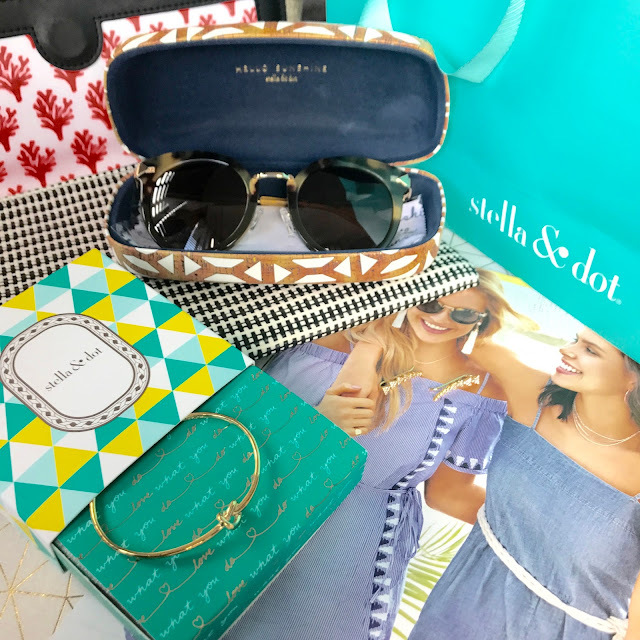 Recently I went to a fabulous event held by the lovely girls at Stella & Dot. I have to admit, I had never heard of the brand before, but once I did a quick search on good old google, I knew I had found something special. Stella & Dot are a jewellery brand who also do other accessories. They originate from the U.S and have something to cater for everybody. They have stand out pieces that are both multi-functional and beautiful at the same time. What I particularly like about this brand is they offer something a little bit different to most UK accessory brands. If you are the type of person who loves to gift unique presents, or likes to be the person who is wearing something no one else has, then this post is definitely for you. 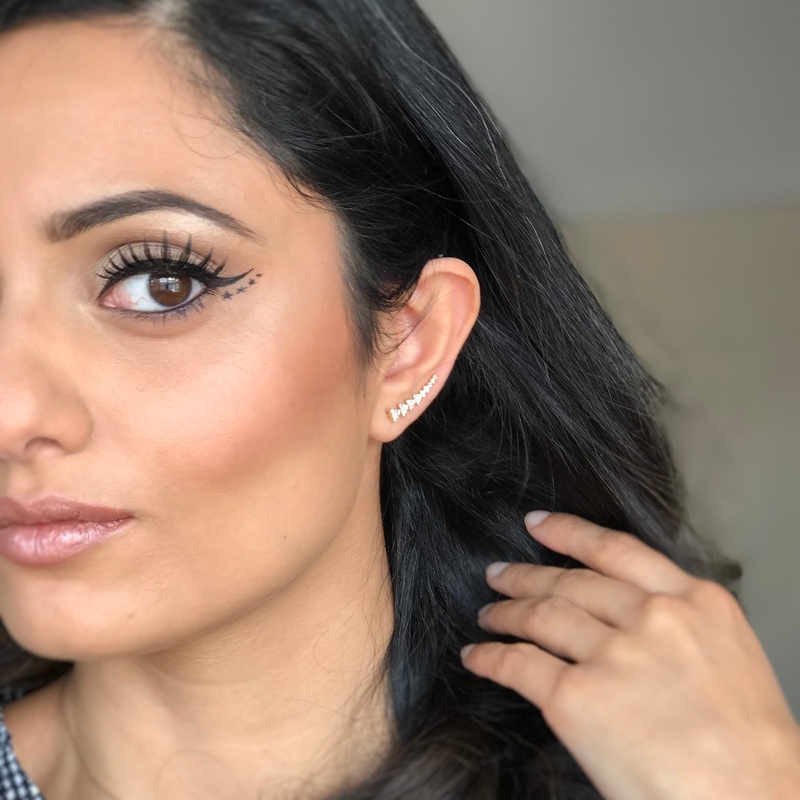 Stella & Dot are accessible online in the UK, but also offer a 'Trunk Show' whereby a stylist can come to your house and style you and a few of your friends. A great excuse for a girls night in, in my opinion, but also a fantastic way to judge the quality for yourself. The quality definitely stood out to me, so my first impression was that the price tag would match, however I was surprised to hear half of their catalogue is under £40. 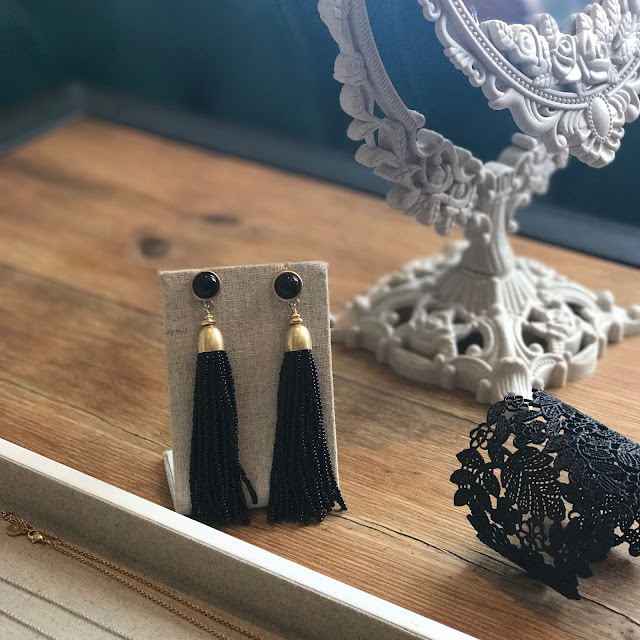 There are some bigger pieces that have a lot of bead work, or are multi-functional (in that you can wear them different ways or detach to make different styles), that do carry a heavier price tag, but in my opinion they are totally worth it! Something that definitely stole my attention at the event was the Bespoke Collection. These are pieces that you can get personalised, with a special date or initial for example. The gold pieces are plated up to eight times, so there is no worry of them discolouring! There are also lovely stories behind some of the pieces. For example, the Chantilly Lace Cuff (£85) seen in the pictures above has actually been taken from the owner's Grandmother's wedding dress, who is also the inspiration for the name of the company. Everything about the brand is personal and pays attention to detail, which I really think makes them stand out from the crowd. Like I said earlier, the brand don't just stop at jewellery, they also sell accessories such as sunglasses, scarves and bags. All of which add a little something extra to any outfit. The style and quality of the products speak for themselves. The Wesley Sunglasses - Tortoise (£115) are sturdy and I love the feline shape. The City Slim Clutch (£45) is so sleek and stylish and its name suits it perfectly. I love the lining inside too as it adds a little quirkiness. One of my favourite pieces from the whole range have to be these Pavé Triangle Ear climbers - Gold (£32). I actually saw them on one of the stylists at the event and fell in love! They give the illusion of multiple piercings and look so stylish and classy. 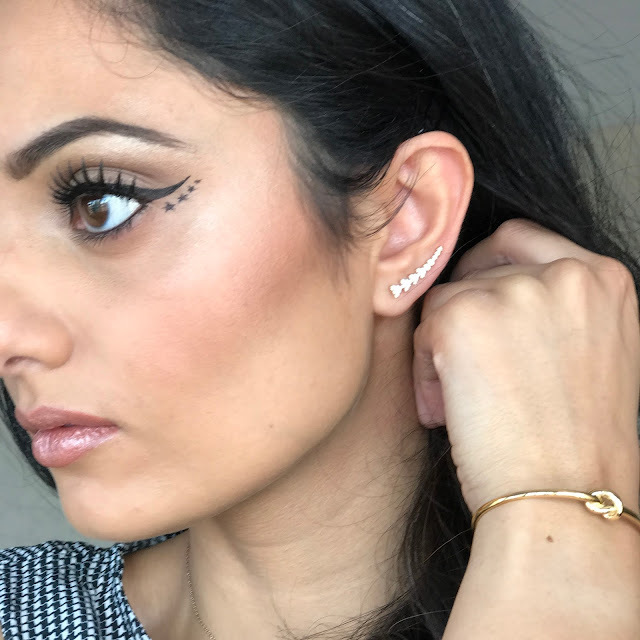 I decided to do a makeup look to go with and matched them to my liner, and my contour! I have already worn them numerous times and have had so many compliments on them. I also have really sensitive ears, so am always extra careful when wearing earrings, however have not had any problems! 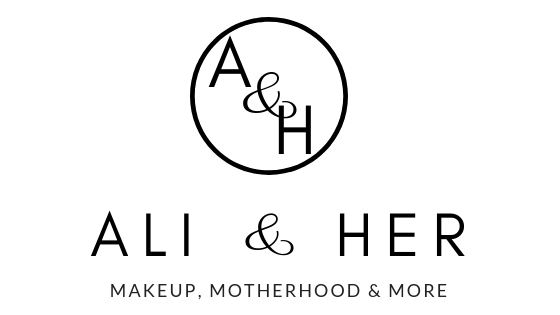 I am so happy to have found this fabulous brand and can't wait to start making some purchases. I'll try not to get carried away. If you are interested in hosting a 'Trunk Show' or even becoming a stylist, then definitely head to the website for more information, as from what I can see the perks are amazing! *PR Gifts. All opinions are my own. Newbies to my skincare routine! A massage with a difference!